This invaluable book is a must have for everyone with an interest in ufology and the paranormal. It is no longer a secret that something is out there. Whether sharing a reliable witness account or an ancient legend, the reader will be fascinated from cover to end. 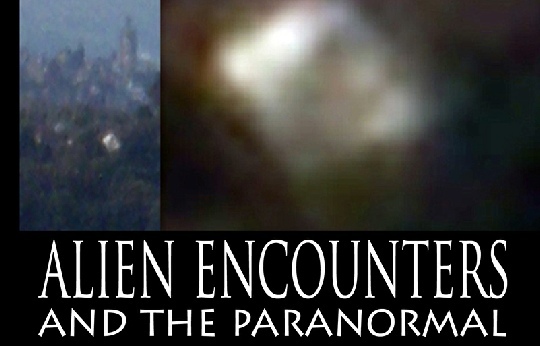 Andrew Hennessey has been a researcher into the paranormal and ufology for well over 20 years, and is currently one of the most prolific writers within the internet community. He has also written for Paranormal Magazine, has appeared on international and local radio, and has been featured in film and TV documentaries. Andrew Hennessey is now sharing his research, reflections and writings in book form for all to read, hear and see, including never-before-seen photos of alien and paranormal events. It also contains the only specialist glossary of it kind listing persons, places and terms associated with the paranormal and ufology, a first in its field and a rare educational tool that every school and home should have. Dr. S. Robin Charles is a philosopher, educator and writer who has lived and worked in Canada, the UK and the USA. She was delighted to be brought into this project as editor. As a metaphysician she is particularly interested in the relationship between the supranatural (alien encounters) and the supernatural (paranormal). Are these entirely separate but real worlds, as Plato might propose? In other words, is there a complete separation or duality between the physical world and the spiritual? Is that why we are so frightened of ghosts? Or, as the American physician and writer Deepak Chopra has suggested, does the physical world become the spiritual and vice versa in some undisclosed space and time as different types and levels of energy increase or dissipate, a unique blend of quantum physics and Ayurveda (East Indian) theory? Perhaps we will never know, but what we do know is there is evidence out there of other worlds, both physical and spiritual, which Andrew Hennessey has captured brilliantly.